Khulu carving The Flood – the latest woodcut by William Kentridge, which is the second in the Triumphs and Laments series – yet to be released. Khulu started off as an intern, but within a few months he was a fully fledged member of staff. 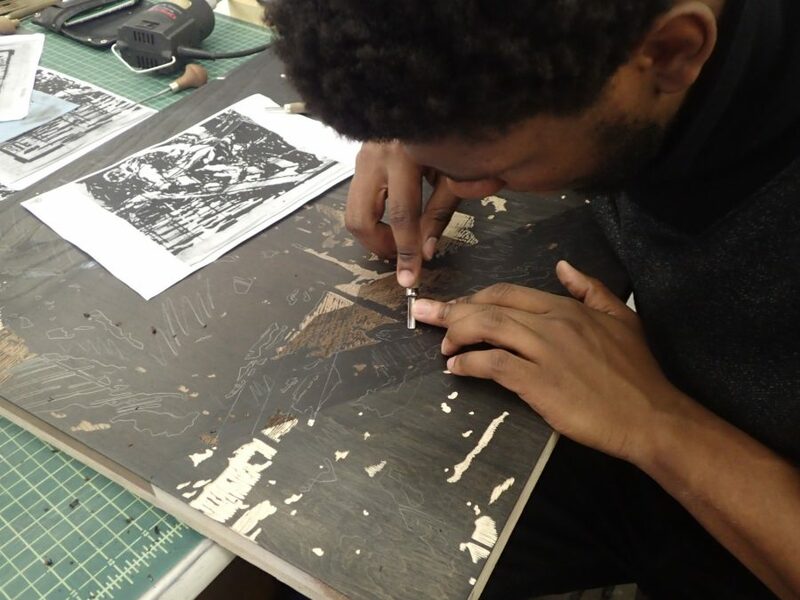 He quickly went from being a helping hand around the workshop – picking up skills along the way – to taking on bigger projects, such as Stephen Hobbs‘ aquatint Mike’s Hand (2015) and Mary Wafer‘s woodcut, Veneer (2015). 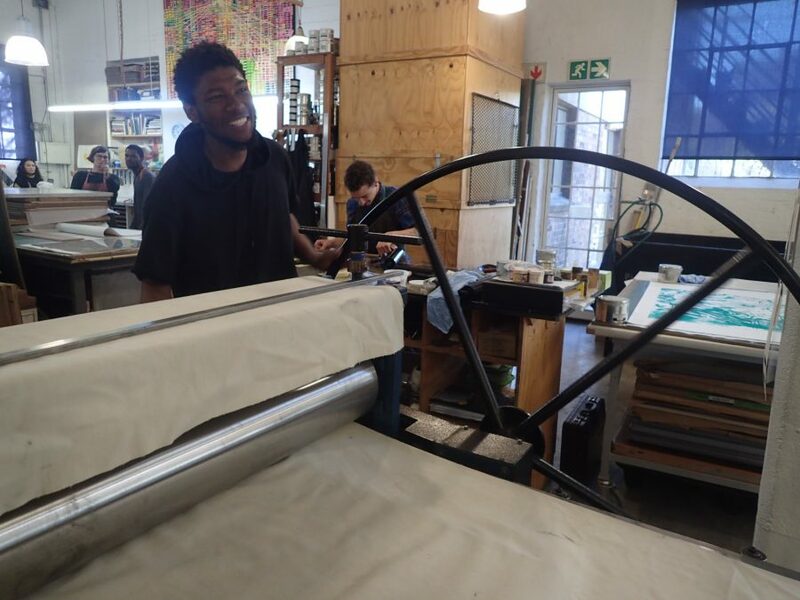 At varsity, Khulu preferred working in isolation so the shift to a collaborative printmaking space has proven to be a stimulating challenge. 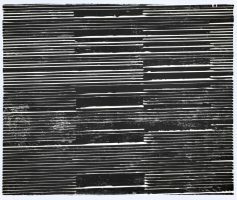 He has had to adapt to a constantly changing environment, often collaborating with different artists at once. Khulu studied civil engineering for two years before changing to art. Why was engineering not for him? 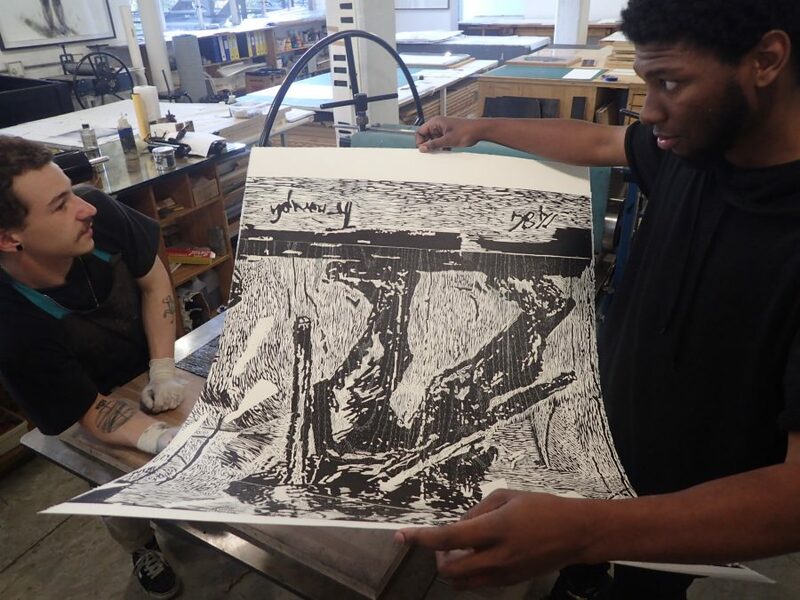 Khulu with fellow printer, Chad Cordeiro, having just printed a section of Kentridge’s Mantegna, which has been Khulu’s primary project at the workshop since that start of 2016. According to Khulu, what does it take to be a good printer? 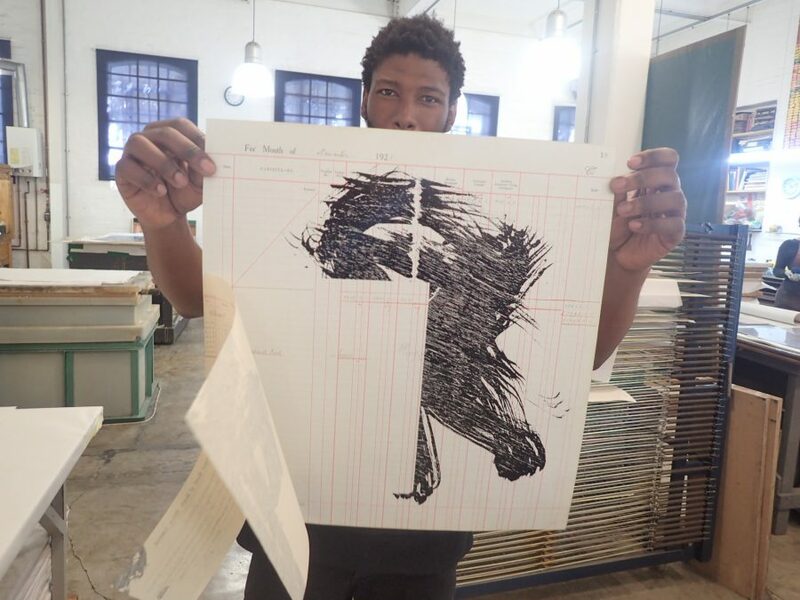 While at university, Khulu was not a fan of relief printmaking, but since the start of 2016 he has mostly worked on Kentridge-related woodcuts and has developed a preference for the medium, but remains open to developing his skills in intaglio too. In fact, Khulu has an unusually fluid approach to artistic mediums. 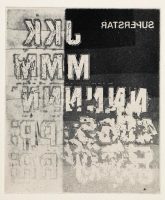 He did his dissertation on printmaking as installation, “blending sculpture and print to forge a third space in the arts between 2D (printmaking) and 3D (sculpture)”, for which he was influenced by Kentridge’s animations (drawings that have been turned into video) and paper sculptures. So, what’s Khulu ultimate goal?